And mini-blogs make a return after more than five months! While I know that nowadays I'm usually writing mini-blogs as their own posts, there's a few things I wanted to address with a good ol' one-two punch. So, here we go! 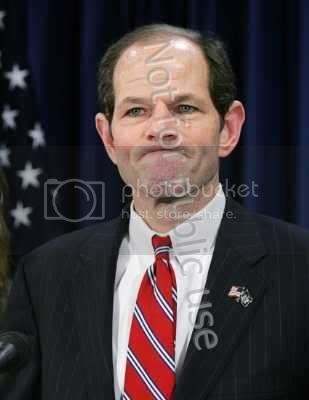 Have you always wanted an emoticon to perfectly capture former New York governor Eliot Spitzer. Well, I think I have something that works quite well. So, this semester, after some soul searching (and scam searching), I decided to become a member of the Golden Key International Honour Society. As I just mentioned, I was concerned about it being a scam similar to Who's Who Among What-Have-You. However, from all I've seen, it's fully legit, and the Berkeley chapter apparently prides itself on being particularly active. Seeing as I receive an email from them almost every day, I won't debate them. Anyway, today was the official induction ceremony. For the most part, it was relatively ho-hum, as the co-presidents had to battle with both a feedback-blaring sound system and their own lack of enthusiasm. However, one of the benefits of going is that you received a certificate (because certificates mean something!). 1. Whoever printed these out has no clue what they're doing and make whole-word typos. 2. Whoever printed these know that in my family, the firstborn son's middle name is the father's first name, had the father been the firstborn son in his family. However, he didn't realize that my Uncle Joe was not only not the firstborn son in his family, but is also not my father (as evidenced by the fact that I call him Uncle Joe). 3. 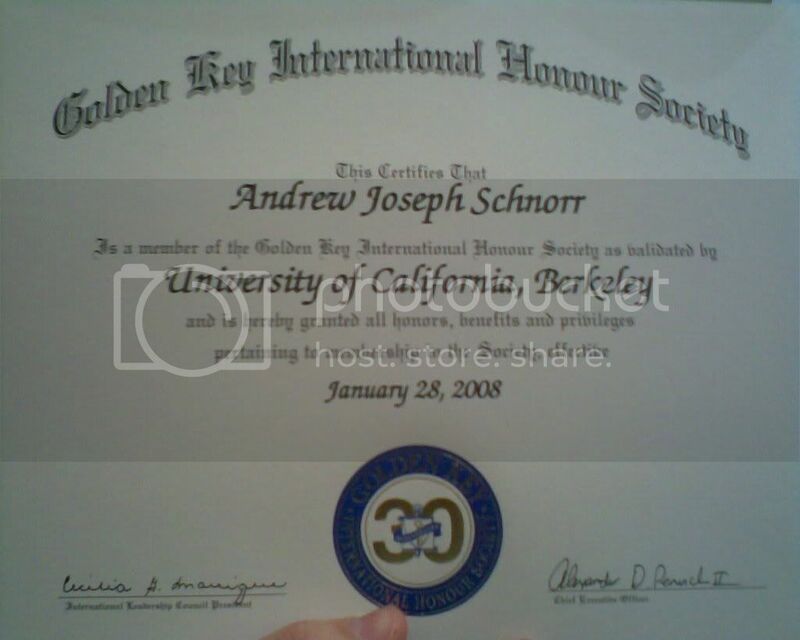 There is another Andrew Schnorr out there with the middle name Joseph who received my certificate by mistake. If this be the case, I must hunt this Andrew Schnorr down and eliminate him, Highlander-fashion. 5 years ago, you ask me what I think about crows, I'd probably tell you I hate them, or at least that they "worry" me. 1. I've become a Native American shaman who uses crows to predict weather patterns. 2. I've become enamored with Brandon Lee movies. 3. 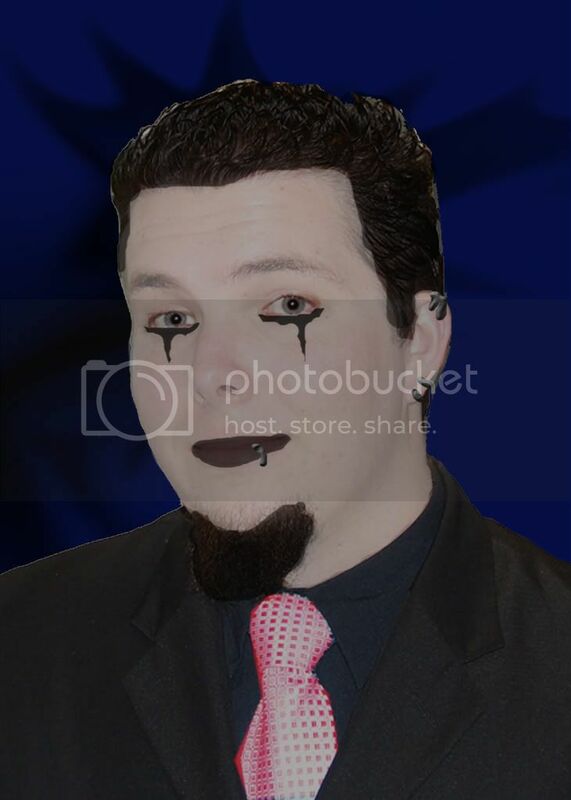 I've become a goth (a popular theory with friends and family for some reason). I think the truth is a little simpler. I believe I've become more "in-tune" with animals in general over the past several years (not in a hippie way; more of a Francis of Assisi way). Nowadays, I find crows to be just another fascinating species of bird. That, and they look really cool on shirts. Eh, I haven't seen any crow shirts. Maybe it's a North Bay thing. In any case, too bad about the certificate. If there is another Andrew Schnorr, you will have to eliminate him. I wonder what powers you'll gain from him if you kill him. After all, there can only be one. Leslie Nielson: "Can you fly this plane?" Robert Hays: "Surely you can't be serious." Leslie Nielson: "I am serious, and don't call me Shirley." If it is, I'm sorry to your other readers that I take your respect points. Machiavelli would approve of me taking your opportunity anyways. BTW, did you ever give me recognition for my recogniznig of Nothing Else Matters by that classical rock band you like. I don't think so! I didn't, and now you'll never get them, because you're wrong about this reference! HaHA! Its a time for Returning I guess. Because Here I am. well its early. Im wearing green, listening to Flogging Molly and looking at an irishman's thoughts on my Mac. Have I been drinking? ... Well I'm not drunk. 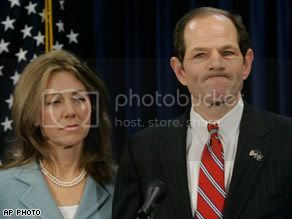 Now I really want to, but I really shouldn't be making fun of Soon-To-Be-Former Gov. 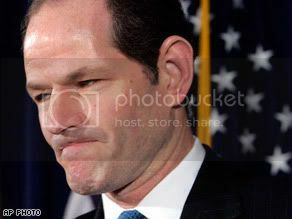 Spitzer. After all, I too am a life-long Empress Club Member. 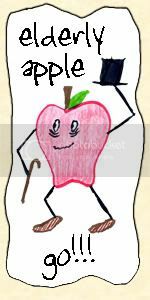 So say that you just got this Honour Society certificate thingy. I guess I AM drunk cause i think it says January at the bottom. It could be just me. 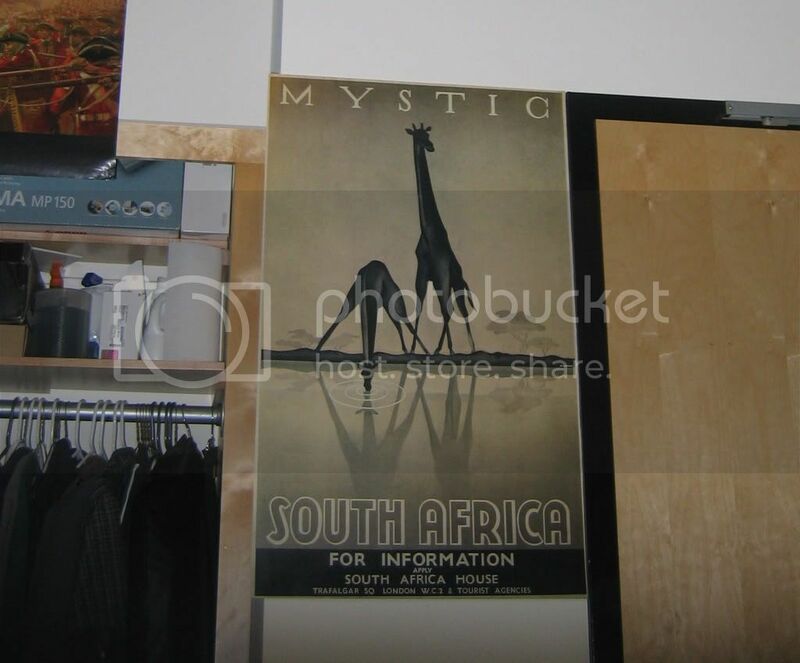 When I saw your poster, before I read anything, I said to myself, "Now that's a really good cover of a classic Art Deco poster." Oh well. maybe next decade. I got nothing to say about the last one. I really do like the feel of their shirts. Wow...that hurt a little. Oh well. I don't drink. And I didn't actually wear green (I drive a green car, so I'm counting that as my green, for the year, and next year too maybe) but I did have a reasonably ok day. I also see January 28th printed on that certificate by the way, so either it's another typo, or you've been holding out on us. I've been a member since January. I didn't really think it was worth mentioning up until this point. I only received the certificate this Sunday, though. That's all to that.